NOTE: RK TEK IS 100% CONFIDENT IN THE PERFORMANCE OF THESE 250cc AND 300cc HEADS! If the head does not offer a performance increase over your stock head, we will refund your money! NO RISK! We also offer a STOCK/OEM Head RE-SHAPE for $150. With this re-shape we machine our PATENTED Chamber Design into your STOCK Head. 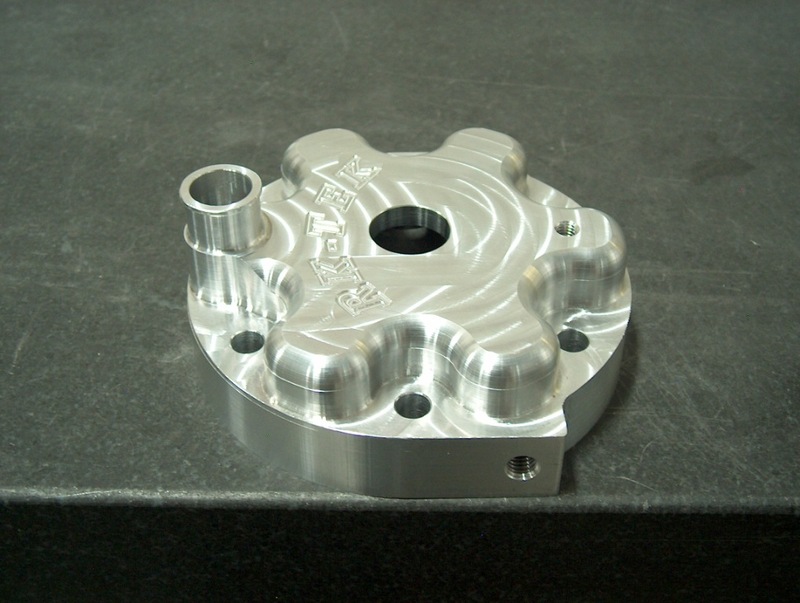 This gives you MOST of the same benefits of our custom billet head. We also offer what we call a "Cheater Head" where we machine your STOCK HEAD out so it will accept our patented billet dome insert. This allows you to have a stock appearing head with a removeable insert underneath. The cost for this mod is $225. Great way to get a huge performance increase at a cheaper cost! The Stock 250 & 300 head (especially 2014 and newer) is a VERY inefficient design and leaves A LOT of Performance on the table. Head is available and custom made for ALL riding elevations and octane.. These heads are made for YOUR engine. Information is taken at the time of order and the chamber is designed for YOUR engine and application. This head offers performance gains UNMATCHED by ANY other bolt on.. You will NOT be disappointed! These Heads will come anodized in Orange, Blue, or Black. Nice low and mid RPM power increase. Very nice fit and finish, The only reason I didn't give 5 stars is this head is a little pricey compared to the competition.